My plucky little mystery novel about a boy and his pseudocide is doing unnervingly well on its two-day free period. 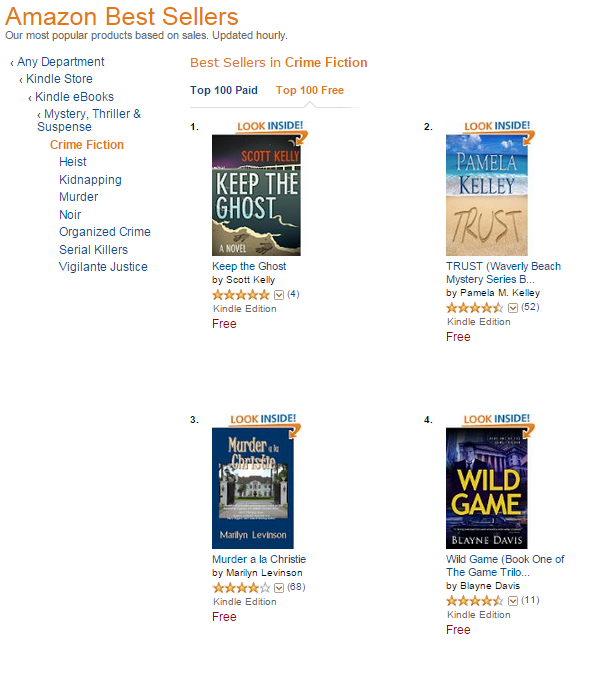 With very little advertising on my part, it has risen to the #1 Crime Fiction novel, and the #6 Mystery/Thriller/Suspense book overall on Amazon. All on the free lists, of course, but you’ve got to start somewhere. Go and pick it up today for free if you’ve been waiting, because it’s returning to full price tomorrow.